In our center, Helena Amos introduces a very efficient and successful method of cosmetic acupuncture. 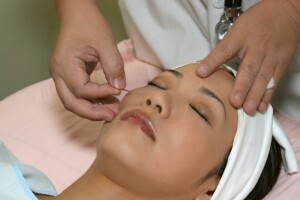 Acupuncture is the focus of and the most effective component in the Facial Rejuvenation Program. 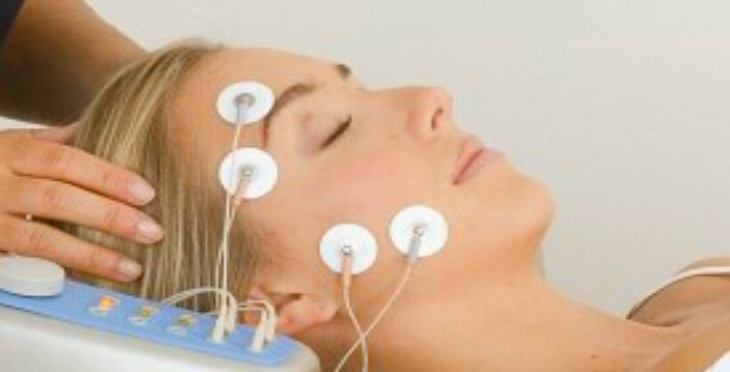 Facial Rejuvenation Acupuncture is a painless, non-surgical method of reducing the signs of the aging process. Though Facial Rejuvenation Acupuncture can sometimes be referred to as an Acupuncture Facelift, it is more than a cosmetic procedure. It is a rejuvenation and revitalization process designed to help the whole body look and feel younger. The Facial Rejuvenation Acupuncture treatment is based on the principles of Oriental Medicine and involves the insertion of hair-thin needles into particular areas of the face, ears, neck, hands, trunk, and legs along channels or meridians of energy called Qi (pronounced chee). Specific points are chosen to manipulate the movement of energy in the body according to the individual’s needs. Thousands of years ago the Chinese discovered that many meridians either begin or end on the face while some have internal branches that go to the face. Thus, practitioners of Facial Rejuvenation Acupuncture know how to specifically effect the face while simultaneously treating the underlying factors that contribute to the aging process. Helena Amos, M.Ac., L.Ac., has been an acupuncture and natural medicine practitioner for over 25 years, having received her Masters Degrees in Acupuncture in England and in the USA. She received specialty training in Cosmetology Acupuncture in Europe and from the best teachers in the USA, and has been doing it for 15 years. Currently, Helena Amos is the owner of the Acupuncture and Natural Medicine Clinic located at 11140 Rockville Pike #530 Rockville, MD 20852 which services the areas of Rockville/North Bethesda, Bethesda, Potomac, Silver Spring, Chevy Chase, Columbia, and Gaithersburg, MD, Washington D.C., McLean, Alexandria, Great Falls, Vienna, Virginia and Northern Virginia and more.